Peniche, which is Europe’s most western town, is located 90 km north of Lisbon. A former island, it was gradually joined to the mainland by the 17th century. The peninsula of Baleal, 5 km from Peniche, was once an island as well. The beaches around Baleal, with their fine golden sands bathed by the waves of the Atlantic Ocean, are one of the most beautiful in Portugal and offer ideal surfing conditions. Peniche and Baleal have no lack of cafes and restaurants either. 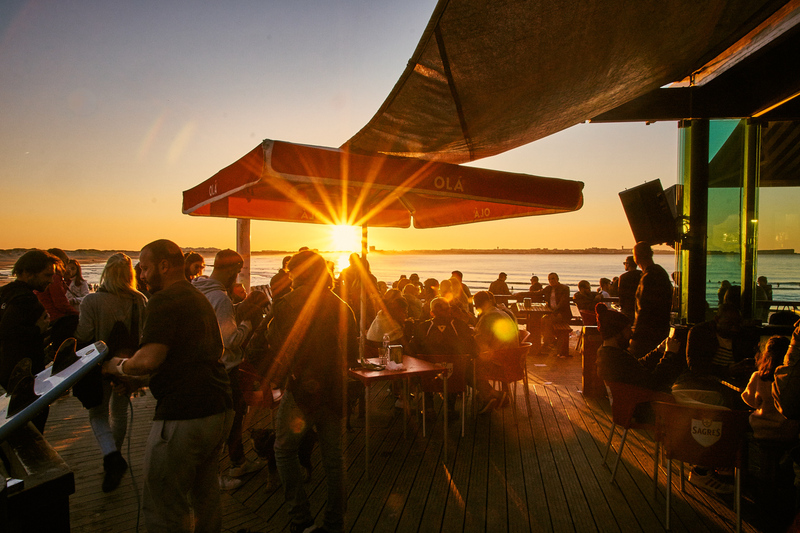 The ocean is everywhere, so you can stay at one of the beachside cafes to enjoy delicious Portuguese coffee, relax or watch the spectacular sunset. Explore scintillating nightlife by visiting the many bars in the area. It’s also a five-ten minute stroll to the local shops, bakeries, nearest supermarket, surf shops, banks and much more. 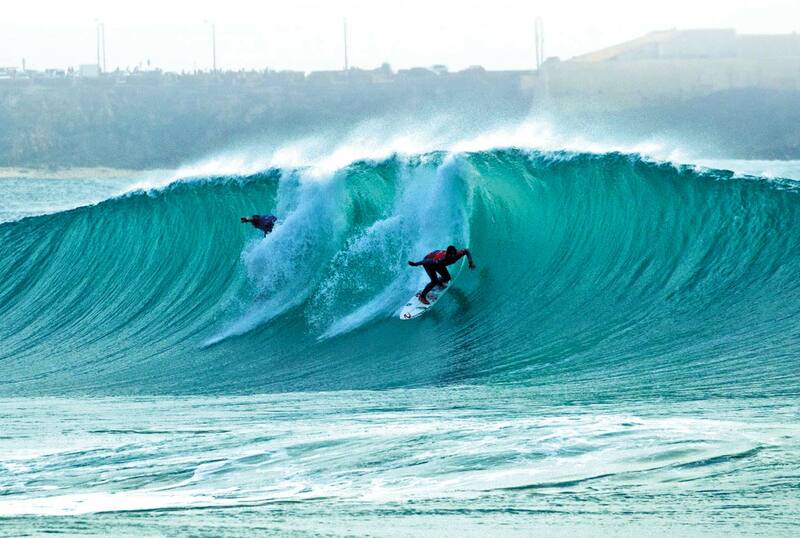 When we talk about consistent waves, Peniche and Baleal are considered as an incredible place. During the year there is no such thing as a month “gap” with no waves. Thanks to favourable geographical position, the peninsulas of Peniche and Baleal, situated close to each other, have plenty of quality waves, breaking with great consistency. Any time of the year there are waves for surfers of all levels: massive and difficult or tiny and effortless. Depending on the swell’s direction one can find surfing spots that are more protected from the swell or more exposed to it. And as the coastline here accepts winds from different directions, you have a big chance to find it offshore somewhere. Within 15 km distance there are more than 20 surf spots to choose from for surfers of any level. A broad sheltered bay between peninsulas of Peniche and Baleal is a perfect playground for beginners as well as experienced surfers in bigger days. This is one of the most uncrowded stretches of the coast, and probably the easiest beginner surfing spot in the area. Nowadays surfers come to Peniche and Baleal all year round. This place becomes more and more popular every year. As a matter of fact, aforementioned locations are one of the main centers of European surfing at this time. Principally, since 2009 when the Rip Curl Pro Portugal, a professional surfing competition of the WSL World Tour, has been held annually in October at the Supertubos beach in Peniche. Peniche and Baleal are way more than just surfing, and they offer plenty of other fun stuff to do! Being a seaside city and one of the largest fishing ports of Portugal, Peniche is famous for its fish and seafood served straight from the sea to the tables of local restaurants. If you want more of a beach vibe just head to Baleal, where you can have a coffee or a beer in one of the many bars right on the beach! There is a lively nightlife in Peniche and Baleal during the season. Whether dancing to flickering disco lights when the party is on or listening to the melody of calm ocean waves in the moonlight, you either way will feel the special “vibe” of this place. Did you know that Portugal is the European country with the highest number of sunny days throughout the year? The Portuguese climate is Mediterranean - mild and without sharp temperature fluctuations. It’s dominated by the Atlantic Ocean. Peniche doesn’t have a large temperature range, lacking the extremes: winter is mild and it never gets too hot in summer. The average maximum temperature ranges between 25 - 30 °C and in winter rarely goes below 15 °C. Moderate rainfalls occur primarily in winter. The water temperature during summer is 18-21 °C and during winter it drops to 15 °C. However, the water temperature won’t prevent you at all from enjoying the ocean and surfing, as the wetsuit keeps you warm and the waves are amazing in winter. Peniche is renowned for consistency and quality of surf all year round. However, from September till May the ocean is more likely to offer awesome waves that so much attract the surfers from all parts of the world. Summer is the time of vacations, hot days, brightly shining sun, as well as perfect conditions for those who want to try surfing for the very first time. The waves are gentle and easy to catch. Most of the reef breaks don’t work. But there are plenty of quality beach breaks to choose from, suitable for beginner and intermediate surfers. A 3/2 mm wetsuit will be the right choice to use. In autumn the Atlantic Ocean wakes up from its summer slumber. Consistent high quality swells start to head towards Peniche and Baleal, bringing days of perfect and powerful waves. While temperatures are a little cooler than summer (except September), the weather can be excellent. And a 4/3 mm wetsuit will help you to feel comfortable while surfing out there. At this time of the year it’s common for wind to drop and then you can take advantage of the smooth surface of the water or light offshore wind. Enjoy beautiful days full of surfing and the beaches that are no longer packed with summer tourists. Winter ocean is a paradise for more advanced surfers that are in search of some serious waves. Big swells start to hit the shore. So the surf spots that didn’t have enough power in summer now are energy charged with epic waves. But at the same time the peculiar shape of two peninsulas’ coastline provides a choice of protected beaches that rarely get large swells and offer good conditions for learning to surf. Water temperature here rarely goes below 15 °C, so you will need a 4/3 mm wetsuit and apparently booties to make a surf session longer lasting and comfortable and to discover the true pleasure of surfing fantastic winter waves. There is also no summer bustle and Peniche is wholly at the disposal of real surf enthusiasts. As soon as spring comes, the days become longer, air and water temperatures start to increase again and the swells get gradually smaller. The wind is not so strong but can change its direction several times a day. If you are in the right place at the right time then the ocean will reward you with the unforgettable waves on a warm sunny day. You can switch back to a 3/2 mm wetsuit as the water gets warm enough. So, just pick which season feels right for you and come check out our little rock in the Atlantic.